Around three years ago, I started my first ever 'proper' job at the University of Northumbria in Newcastle; I can still feel the nerves I had as I walked to the office that morning, the sweaty palms as I introduced myself at reception, the tip tapping of my foot as I was told to have a seat as one of the managers came to get me. I was sat next to another girl, and as we both swiftly got to our feet as the manager greeted us, I realised that she was also starting alongside me too, as a Media and Communications Assistant. Two weeks on...we'd barely spoken. I was painfully quiet, a little awkward and felt, quite frankly, completely out of my depth with the entire thing. With little to no experience in PR, simply a love of writing, rather than it being a trained skill and a significant lack of self belief, the whole situation was quite...a lot and just getting through each day without completely f**king up was my main priority, never mind making friends. One day though, a new task was set upon us, as well as a new location, so in a small office just myself and the other 'new girl', I finally had to talk. She'll admit herself that for the first, I'm going to say, three days she did the majority of the talking and I nodded along and politely made painfully awkward small talk until, you guessed it, we went for a cocktail or three one night...and a friendship blossomed. Two years later, and quite literally, to the exact day we sat together silently waiting on our first day, we met at Manchester Airport and flew off to Cape Town together, waving goodbye to the UK for a year. At the time, I thought nothing of it but now looking back, that decision to go travelling as a pair was a risk, and one that could have put our whole friendship in jeopardy. You always hear the stories about friends who go travelling together and then a few years on, haven't spoken since a bust up midst trip, the stories about raging arguments that see travelling duos storm off in opposite flight paths and even the stories where despite nothing going particularly wrong on the trip, the friendship needs distance and time, and people are never as close again. Honestly, the first time I thought about this was perhaps with a week to go when the nerves had set in and I was questioning everything. 'Holidays can change a friendship, never mind travelling' was perhaps in the top 10 things I heard leading up to the trip but... We'd been to Nice for 5 days last year and we didn't want to come home and I mean perhaps that had something to do with the hot sun and the incredible wine and the delicious foods but, still, we really weren't even close to running out of things to talk about so SURELY, this would be fine. Maybe it's luck but maybe it's intuition because after 11 months, I can report that we are still talking every damn microsecond of the day, we are still finding each other absoLUTEly hilarious and unbelievably, we still aren't sick of each other. That's not to say there haven't been bumps in the road, because it would perhaps be utterly abnormal for there not to have been for this length of time but with the amount of tricky situations we've gotten into, it's safe to say we're still the best of best of friends. Chances are, you're going to annoy each other and sometimes you won't even know you're doing it. If you're good enough friends to go travelling together, you're comfortable enough with each other to just be frank and honest so instead of letting the little niggles become huge problems, communicate. There's a high probability that the other person won't even realise what they're doing is getting to you so just have a little chat, nothing formal or full on, but just let the person know how you're feeling (hint: a good friend isn't going to bite your head off for being honest). Travelling can be intense sometimes, and when in transit, pretty stressful. 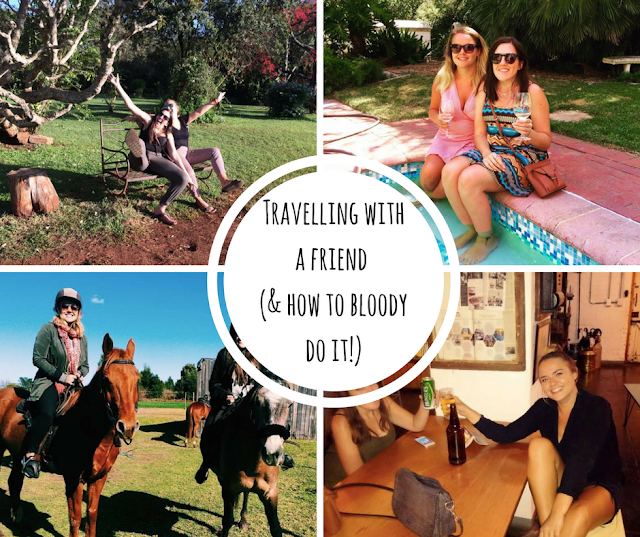 For the most part, you are around new people a lot of the time and whilst this is one of the best aspects of travelling, it can be get a little draining. Everyone needs their own space and time to chill out on their own, or even with someone that isn't you and that is okay. It doesn't mean you aren't friends or that you hate each other, you're just being human beings. This is going to be a pretty fabulous trip and you’re so lucky to have found someone who you can make all these amazing memories with so ENJOY it. When you’re 85 years old and sat together with a bottle of something strong, looking back on this incredible time will be an absolute hoot so make the most of it, push each other to try things they haven't done before and revel in the freedom that you both have. LAUGH at each other, with each other, at yourself, at situations that occur - just let go and enjoy. Whether you get stranded in the dark on top of a hill after watching the sunset and have to hitchhike home (never happened), your airport transfer doesn't show up or you’re driving around in the dark trying to find your hostel with a guy who cant understand your accent, don’t argue with each other. Whilst it might be stressful and sometimes a little scary, chances are that you’re both feeling that way and things always work out in the end. The most important thing to do is to not start arguing with each other because whilst it’s easy to shift the blame onto the one you’re closest too, these things happen whilst you’re travelling so don’t fret, try to prepare for these situations by being organised (11 months and still flying to the wrong airport though so says me) and have a laugh about it over a glass of wine once you’re safe and all is well. Yep, I don’t just mean the odd dress or pair of shoes and I don't even mean just the experiences, I mean everything. Clothes, make-up, emotions, illness, the lot - as long as it’s not men we’re all good, hey. If you’re planning on travelling for a length of time, as good a pair of friends as you may be, you are going to snap at each other. We always take things out on the person we are closest too so sometimes so you’ve just got to buckle up, let them snap, take a few minutes out and go back to normal because 1) you’re going to do the exact same too sometimes and 2) it’s completely normal as a human being to do so. There is absolutely no point in taking those little snappy moments to heart because neither of you will mean it and if anything, it’s actually a testament to how strong a friendship you have that you can bicker and five minutes later be crying with laughter and/or tagging each other in memes. Perhaps this one is just for the psychos out there (where my homies at) but get ready for an abundance of weird inside jokes and songs and...noises that other people are just not going to understand. I don't know if it's the deliriousness of spending a lot of time in an aircraft, the quantity of alcohol consumed finally going to our heads or simply, two people who are a little weird coming together and embracing it. Who knows, but get ready...! At the end of the day, what will be, will be and even if you are the greatest of friends, you simply might not be compatible to travel together…and that’s okay. You can be friends with people and have complete opposite habits which may make travelling together for a long time beyond impossible for each other - that doesn't mean the friendship is over. For those of you wanting to travel with a friend, those currently planning your trip or those who are on the trip itself right now and just needing a little advice; my main, main, main thing I would say to do is COMMUNICATE. You HAVE to talk to each other, you HAVE to be honest, you HAVE to voice how you feel because otherwise it is not going to work. There have been times on this trip that after a few hours or days, one of us has mentioned something, not necessarily about each other, but about how they’re generally feeling whether it be about a place or about homesickness, and more often than not the other person has felt the exact same. 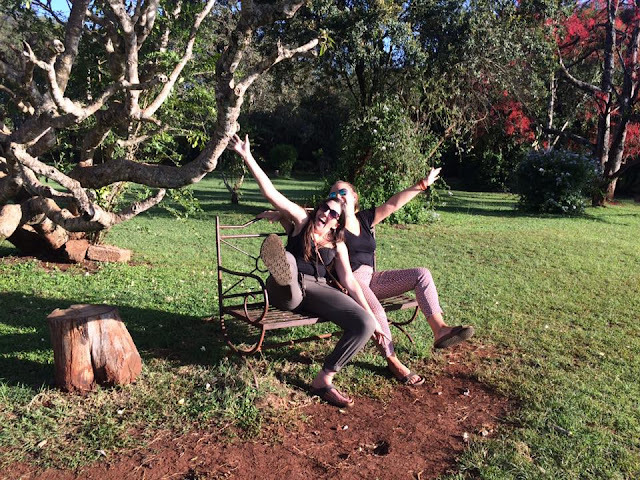 What a relief it is and what a comfort it feels, when you finally pluck up the courage to be honest with both yourself, and your travel companion and they feel the same way. This person becomes the one you lean on whilst you're away from your other loved ones so let them in, let yourself lean on them and be there for the other too when they need it the most. There have also been times where my friend and I haven't agreed, so what do we do? Walk off? Not talk for days on end? Nope, we’ve sat there and talked it out and even if it hasn't been the most simple of conversations, in the end, we leave that conversation laughing again, happy again and that’s the most important thing. 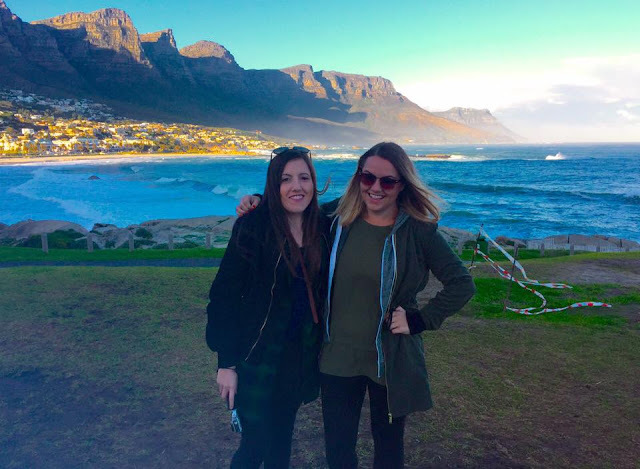 Travelling with a friend is one of the most amazing things you can do, and I feel so privileged and so lucky to have been able to share all of these amazing experiences with one of, if not my favourite, person in the world. One of the best parts about this trip has been the ability to share all these experiences and make these memories with someone and the few teeny tiny bumps in the road simply pale into significance in comparison to the amazing, amazing times we've had. I can tell story after story to family and to other friends about the things we've gotten up to on this and the things we've seen but in reality, there is only person who is going to truly know what I mean, truly know that story, truly understand and at the end of the day, that really is something to appreciate and treasure for the rest of my life. Phewwwww, that was a long post! Have you travelled with a friend before? Are you planning too? Let me know in the comments your experiences - I'd love to hear your stories!